1. Who is this section for? 2.1 Working in the UK during your studies: what is allowed – what not? The University of Kent is one of the most cosmopolitan universities in the UK, with a strong international community. There are around 150 different nationalities represented at the University, with over half of all newly recruited postgraduate students and just under 40% of academic and research staff coming from outside the UK (kent.ac.uk). Job hunting in the UK after your studies can be particularly challenging for international students in the current political climate. 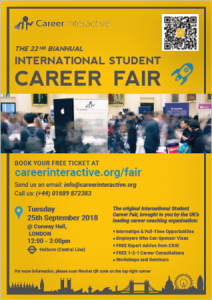 The information below is for international students who require a work permit sponsored by a UK employer, not for students from the EU and European Economic Area who do not need a work permit. However, this may change post-Brexit. Since the abolition of the Post Study Work Scheme in April 2012, all new graduates in the UK from outside the EU need to be sponsored. As an International student who is currently studying in the UK, you would be able to apply for a Work Permit under the Leave to Remain immigration scheme, provided you have a sponsor. Applicants from outside the UK apply for Leave to Enter. The Leave to Remain scheme, is not capped and does not require the Resident Labour Market Test (RLMT). Many UK employers are not aware that there are two entirely different routes, i.e. Leave to Remain (no cap) and Leave to Enter (limited numbers and RLMT). The current fee (July 2018) for students to apply for a work permit under Tier 2 (General) is £704 (£1314 for premium service), plus Health Surcharge (£150 per year for students). Before you start making applications, check that the employer is licenced to sponsor you. If the employer has a sponsorship licence, then the organisation will be listed on the Government’s Register of Sponsors. 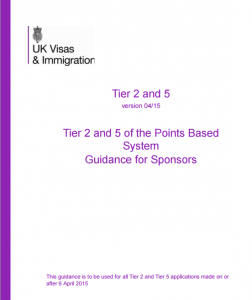 You can check this directly at the UK Government’s Register of Tier 2 Sponsors (click on the blue link on on the image below). 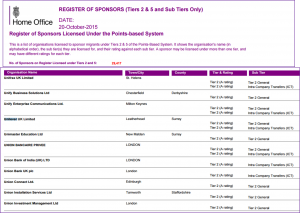 The current list shows 29,500 sponsor organisations (January 2019). If an employer is not listed here, they will not be allowed to sponsor you. You can find information for potential employers below. Note: some organisations are listed under their abbreviation, others under their full name. Use Control + F to open a mini search box on the register, to speed up your search. At the University of Kent you can get advice about working with your study visa and any extensions an International Student Adviser. advice@kent.ac.uk or telephone 01227 827724 for an appointment. All International Student Advisers at Kent are regulated by the Office of the Immigration Services Commissioner (OISC). Click here for website. Location: Mandela Building (behind The Venue) – just ask at Reception. Colleagues at the University of Manchester have kindly shared this information about the Tier 2 – General work visa (current in February 2017). This provides some information about the visa options for working in the UK and introduces the range of visa routes including the employer sponsored visa route (Tier 2) and short term work experience visas (Tier 5). Find out more about the processes. When you make applications, you will find that many employers will as for UCAS points. UCAS stands for Universities and Colleges Admissions Service. Most employers are likely to subscribe to NARIC (see below) and will be able to translate your qualifications. However, in the first instance, it is advisable to give an indication of what your qualification relate to when compared to UK qualifications on your CV. A-levels, for example, are the highest UK school grades you can achieve at high school and are required for university applications. In the UK, most students will have A-levels from 3 or 4 subjects studied in depth. An A counts 120 UCAS points, a B counts 100, a C counts 80, a D counts 60. Typically, 320 UCAS points mean having achieved a minimum of an A (120) and two Bs (200); 300 would be an A, B and C grade or 3 Bs. The National Agency responsible for providing information, advice and expert opinion on qualifications worldwide is called UK NARIC. They working on behalf of the UK Government and provide a range of advisory services which compare international qualifications. Specifically, they help those coming to the UK to work or study that hold international qualifications and potential migrants wishing to apply through the Points Based System. They also work with universities and colleges’ admissions services and employers. If you would like to have an official statements of comparability, this will cost a fee – click here for more details and current fees. However, for the purpose of your CV, you can state simple how your qualification compares to the UK qualifications. Click here for explanations of UK qualifications. For most large organisations you are likely to be asked to fill in an online application form and upload your CV and sometimes also a cover letter. Do allow plenty of time to prepare. Have your CV updated. Take plenty of time to complete the online form. Typically, this can take up to 2 hours and you will come across competency questions in your applications.To complete these successfully, go to the HOW TO tab on this blog or look up the Careers and Employability Service’s information for online applications. Most applications can be saved as you go along and don’t need to be completed in one setting. Always sleep over it, before you submit, or print it out and get it checked by a careers professional (see below). If an employer asks for applications by sending in your CV, always send a CV with a covering letter or equivalent cover note in your email text. If you are asked to submit a CV and covering letter, then attach both to a short email, stating what you’re applying for and that you have attached your CV and covering letter as requested. Always ensure that the cover letter shows a letter format (see HOW TO for example and step-by-step guide). Getting help from friends and family is always great, but aim to get your CV, cover letter, or application checked by a careers professional (either at KBS or someone from the Careers and Employability Service at the University of Kent). We work with employers and understand the system. You can also get interview practice to help you get a job. Click here for office hours/appointments. If you are unsure about your written English or experience other language difficulties, ask a native speaker for help. Key resources for international students are listed below. 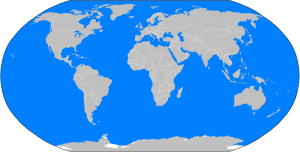 For specific country-resources click here to go to the Working Abroad section on this blog. GradLink UK is a good starting point for learning about graduate opportunities and connecting with graduate employers across the world. It is your essential link to careers and jobs in your home country and beyond. Click on the image to access website. 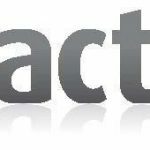 where you’ll find sector information and details about where to find jobs. Would you like to work in Dubai or Qatar? Click on the above link to access this specialist careers site for Gulf national students who are studying in the UK, which has recently been added to the Gradlink country listings. 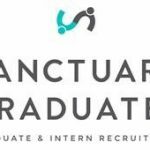 Grad Connection – a free graduate recruitment platform that allows you to search for jobs in Indonesia. 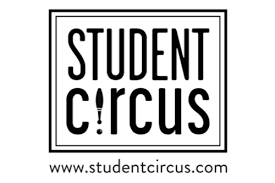 http://studentcircus.com – a site run specifically for international students, listing jobs from employers who welcome applications from international students and who are in a position to sponsor international Tier 2 work visas. Usually run in September every year – check for 2019: https://careerinteractive.org/fair. 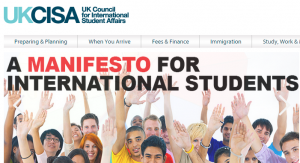 The UK Council for International Student Affairs (UKCISA) is the UK’s national advisory body supporting international students and those who work with them. Their mission is to provide support for international students, enhancing student mobility and encouraging best practice in the education sector. Target Jobs have web pages with job hunting advice for international students (https://targetjobs.co.uk/careers-advice/international-students). Click on image to access details. Thought.Co have published an article about how you can develop this skill. 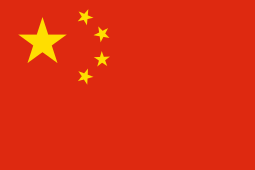 Free and open access, e-learning resources to support the employability of all UK-educated Chinese students, available in both English and Mandarin and have been developed by the University of Warwick in conjunction with both, Chinese and UK universities. www.prepare2getahead.co.uk E-learning resource, giving an introduction to career planning for students and provides a step-by-step approach to enable students to develop and create their own career plan. The resource aims to help students to make the most of their time at university and to explore options that interest them, as well as gain relevant skills and experiences. www.innovate2getahead.co.uk E-learning resources, providing students with an introduction to innovation skills and developing an innovative mind-set. It is aimed at all students, as the activities and case studies can be applied to students looking to go on and work for organisations; for students wishing to develop their own family business and for students looking to start or develop their own business. In order to sponsor any number of international graduates, a potential employer would need to apply for a Sponsor Licence under Tier 2 (General), which is the scheme for skilled workers who have received a graduate level job offer from a UK employer. Currently, there are 29,500 employers on the Government’s Register of Sponsors (see https://www.gov.uk/government/publications/register-of-licensed-sponsors-workers). (17 January 2019). For small Tier 2 sponsors and charitable organisations, the licence fee is £536 (2018/19 tax year), and for larger organisations, it is £1476. The latest information issued by the UK Home Office for employers can be found at https://www.gov.uk/government/publications/sponsor-a-tier-2-or-5-worker-guidance-for-employers. This guide is currently over 200 pages long (2018/19). When you work in the UK you are liable to pay Income Tax and National Insurance contributions like everybody else. These payments are deducted from your pay by the employer and are known as PAYE (Pay as you Earn). Each year the government sets a fixed amount as a Personal Allowance, which means that you do not pay any tax on this. For the 2018/19 tax year the personal allowance is £11,850. You pay Income Tax on any money earned above this amount. Each tax year runs from 6 April of one year to 5 April of the next year. You start paying National Insurance when you earn above £153 per week (for 2014/15). Payments are recorded against a personal National Insurance number (NI), which is your own personal account number which is used for the entire social security system in the UK. The NI is made up of letters and numbers like this: AB 12 34 56 C. Everybody’s NI is unique, and you will need to apply for your own number. Information can be found at the government’s information website at www.direct.gov.uk (type ‘National Insurance number’ into the search box). You need to apply for this number, if you are employed or looking for work. Telephone the Jobcentre Plus National Insurance allocation service helpline on 0845 600 0643 and arrange for an evidence of identity interview (for which you need to bring some identification, such as passport, and other evidence as requested). It can take up to 4 weeks to get this number, but it is possible to start your work before then. Employability talk on 6 February 2019. Copy of presentation slides with links to resources highlighted.